Having low vision doesn't mean you have to be confined to your home. Several low vision devices are available to help you feel more comfortable outdoors and get around in even unfamiliar surroundings. Light and glare sensitivity is a common problem for visually impaired people, especially among both pre- and post-op cataract patients and those with macular degeneration or diabetic retinopathy. Special glare-reducing and blue-blocking lenses (so-called because they absorb the blue portion of the visible light spectrum) can be worn for more comfort outside, whether it's cloudy or sunny. They come in light and dark gray, yellow, orange and various shades of amber. Some are photochromic, so they lighten or darken according to the amount of sunlight they are exposed to. 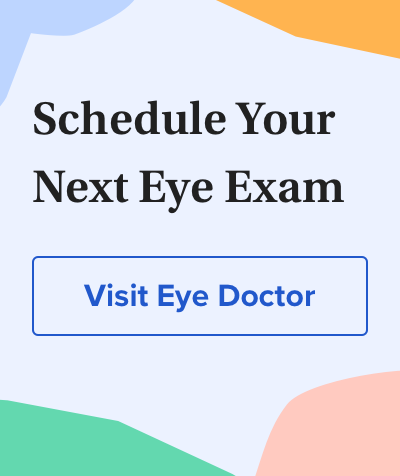 Lens colors, light transmission percentages and blue light absorption capabilities are all variables that your eye care practitioner or low vision specialist will take into account when helping you decide which option is best for you. Glare-reducing and blue-blocking lenses come in prescription sunglasses, nonprescription clip-ons for your regular eyeglasses and side-shielding "fit-over" styles that can be worn either alone or over your glasses. For getting out and about, many partially sighted folks need assistance with their distance vision. Choices include small, hand-held telescopes that fit in the palm of your hand, as well as lightweight eyeglass-mounted telescopes. You may need a prescription for these, as well as special training to use them effectively. A low vision specialist can help you with this. Also, head-mounted binocular viewers are available that can provide magnified distance, intermediate and near vision, depending on what your needs are at any given time. These electronic devices operate with a portable control unit and a rechargeable battery, so you can use them in stores, libraries or on the street. They provide good depth perception, which is missing from many other types of low vision magnifiers. Finally, canes generally are thought of as aids for completely blind people or people with trouble walking. But if you are missing part or all of your peripheral (side) vision, or if you're having a problem with night blindness, canes can help you navigate unpaved areas and keep your balance. This is very important, because falls are the leading cause of injury-related deaths among older people, according to the U.S. Centers for Disease Control. Foldable or telescoping aluminum canes or walking sticks are light and sturdy and can be stored in a carrying case on your belt or stowed in a bag. Adding reflective tape to a cane makes it more visible to drivers at night.